Central Okanagan Wildcats and Wild Hosted Special Hockey Tournament! 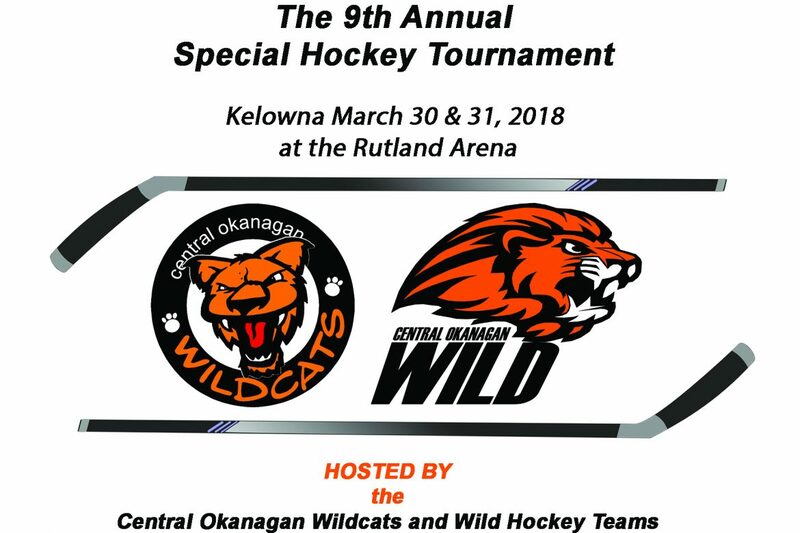 (Kelowna, BC, March 19, 2018)– The Central Okanagan Wildcats and Wild were thrilled to host the 9th annual Special Hockey Tournament in Kelowna March 30&31, 2018 at the Rutland Arena. The Central Okanagan Wildcats Special Hockey program was founded by Phil von Unruh in 2006 to give children and youth with autism and other developmental disabilities the opportunity to play hockey, and develop fitness, coordination, and social skills within a team environment. The Kelowna Wild Special Hockey team was founded in 2016 for young adults with autism and other developmental disabilities the opportunity to continue to play hockey after playing with the Wildcats. New members as well as siblings and parents are welcome. Phil von Unruh continues to oversee and coach both teams. Trevor Long has also become a head coach for the Wildcats. Several parents participate in coaching also. When the Wildcats was started in 2006 it was the only team of its kind in British Columbia. Phil was instrumental in helping to start several other teams in central BC, the lower mainland and the island providing members the opportunity to travel to other communities to play. The Special Hockey Tournament is held in the spring in a different host city each year. The Special Hockey Tournament featured six youth and four adult teams from Penticton, Kelowna, Vernon, Kamloops, Vancouver, Surrey, Victoria and the South Island. The tournament will feature fifteen different games as well as two coaches’ games.